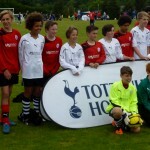 5Ways Academy Select Squad are Spurs Cup Finalists! 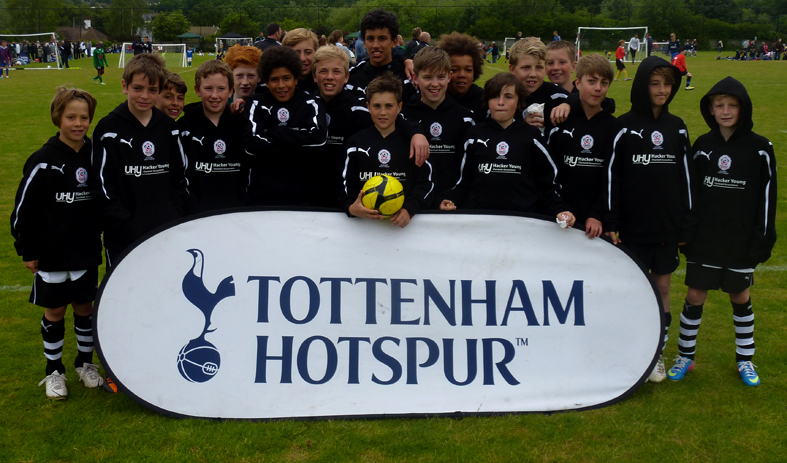 A Fantastic day out was had by all when 5Ways Soccer took members of it’s Academy Select Squad up to the Pat Staunton Hotspur Cup at Tottenham’s Spurs Lodge training ground in Chigwell, Essex. 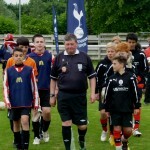 It was the first outing for the Squad and thanks to the great organisation from Spurs and the very high standard of opposition it was to prove a great learning experience for all involved. In the U12s age group the presence of Greek side Panathinaikos raised a few eyebrows and with only the top two teams from a group of six going through to the quarter finals, the 5Ways boys new they would have their work cut out. The first game saw 5Ways dominate proceedings and take the lead through a Lewis O’Shaughnessy strike but eventually finish with a one-all draw after the opposition were fortunate to equalise with the last kick of the game. The second match proved much more successful with the boys finishing as two nil winners thanks to goals from Harry Garnham and Connor Fitzpatrick. As the day wore on and the opposition got even harder, Hawks dug in and worked extremely hard but found it difficult to score. 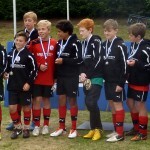 Eventually the U12s were a few points off the top two positions but went home knowing they had acquitted themselves well, come up against some seriously good opposition and gained a great deal from the experience. 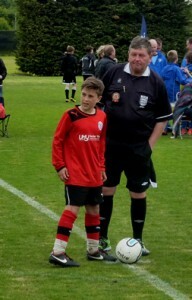 After a nervous start the U13s proved to be a formidable force. Paying great mind to the work they had put in on the training ground the day before they maintained their shape, passed well and flew through the group stages by winning all but one of their four games. Goals from Joe Aston, Lawrence Coyle, Niall and Nathan secured their wins and between the posts, Joe Fitzpatrick was in fantastic form conceding just twice. The Quarter final was a tense affair with chances at both ends but eventually it ended in a draw and went straight to penalties. Hawks kept their nerve and proceeded through to the semis. The semi final went much the same way as the first with 5Ways looking strong in defence and dangerous on the break. 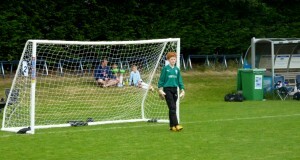 Some outstanding saves from Joe fitz kept things even and once again 5Ways faced the drama of a penalty shootout. With the score even at 4-4 after 5 penalties each it came down to sudden death at it was at this time that a couple of heroes were required. First Joe fitz – pulled off an outstanding save to give 5Ways the edge and then Joe Aston stepped up for the second time in the penalty shootout and blasted the all important winning penalty into the top left corner of the net to cue celebrations all round. 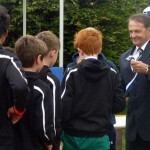 In the final things were once again tight but unfortunately in the end it wasn’t to be after a break away goal and something of a wonder strike meant that on this occasion 5Ways went home proud to receive the runners up medals from Spurs and England legend Gary Mabbutt for this challenging national tournament.